Great 4th-grade science fair projects involve answering a question, solving a problem, or testing a hypothesis. Usually, a teacher or parent helps work out the hypothesis and design the project. 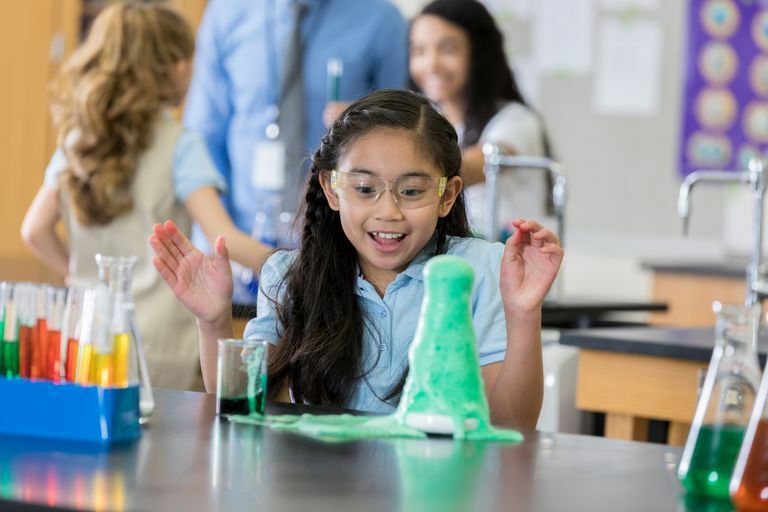 Fourth graders have a good understanding of scientific concepts, but they may need help with the scientific method and organizing a poster or presentation. The key to developing a successful project is finding an idea that is interesting to a 4th grader. Do cockroaches have a preference for direction? Catch and release cockroaches. Which way do they go? Is there a common trend or not? You can try this project with ants or other crawling insects as well. Do colored ice cubes melt at the same rate as clear ice cubes? Add food coloring to an ice cube tray and compare how long the colored cubes take to melt compared to the regular ones. Does magnetism travel through all materials? Put different materials between a magnet and metal. Do they affect how strongly the magnet is attracted to the metal? If so, do they all affect the magnetic field to the same degree? Do all crayon colors last the same? Draw a really long line with one color, then draw the same length of line with another color. Are both crayons the same length? What is the effect of microwaving seeds on their germination rate? Test seeds that sprout quickly, like radish seeds, and different microwave times, such as fove seconds, 10 seconds, 30 seconds, one minute. Use a control (no microwave) treatment for comparison. Will seeds germinate if you soak them in a liquid other than water? You can try milk, juice, vinegar, and other common household liquids. Alternatively, you could see if plants will grow if they are "watered" with liquids other than water. Make a simple homemade windmill. What is the best number of blades for the windmill? How much salt (or sugar) can a plant tolerate? Water plants with a different solution of salt or sugar. How high of a concentration can the plant tolerate? A related question would be to see if plants can survive if they are watered with soapy water such as leftover dishwater. Do birds have a preference for birdhouse material? In other words, do they seem to care if the birdhouse is made of wood or plastic or metal? Do worms react when they are exposed to light? Do they react differently when they are exposed to different colors of light? Do ants prefer different types of sugar? Test using table sugar, honey, maple syrup, and molasses. Compare the water filtration rate of different brands of coffee filters. Take one cup of liquid and time how long it takes to pass through the filter. Do the different filters affect the flavor of the coffee? Write messages using different types of invisible ink. Which was the most invisible? Which method produced a message that was easy to read after it was revealed?